Several years back dinner guests brought with them a screw-top wine bottle. Because I don’t drink much wine, I was unfamiliar with the vineyard and did not recognize the label. However, I almost dismissed the offering as a practical joke. I internally questioned these hooligans ability to understand the heritage, prestige, and snobbery of wine. Bottom line, I thought they were being cheap and I would be stuck politely choking down cough syrup with a beautifully seared steak. Reluctantly, I twisted the cap and poured four small glasses. My plan was to make our visitors consume the remainder of this swill. Holding back I watched the others, anticipating agonizing torment and gag reflexes. I knew my wife was equally hesitant, but she took the first sip. Her eyes perked and her shoulders raised. As Mikey’s brother from the Life Cereal commercial would say, “She likes it. She really likes it.” I did too. That evening I realized a container in which the beverage is stored is simply a vessel for preservation and transportation from the source to my table. As long as the package delivers the product in the intended condition, I’m no longer concerned about traditional methods and ritual. Cans have long been the short funny looking younger brother of the more prestigious beer bottle. Summer beer cans somehow acquired a dirty second-class reputation. This comparison weighs the important consumer features between glass bottles and aluminum cans. Prestige: If you care what others are thinking about the beverage container you are holding, this may be important. Advantage: Bottles, but shifting toward cans. Drinkable: Drinking from a can is awkward and can be flimsy. They have a bit of a glug-glug affect, plus the lip always holds a remnant from the previous drink. Bottles do seem to pour smoother. Advantage: Bottles. However, beer should really be poured into and consumed from a quality drinking glass to experience all of the nuances. Taste: The material of both containers does not affect the flavor of beer. However, glass bottles exposed to UV light will inversely affect the taste over time. 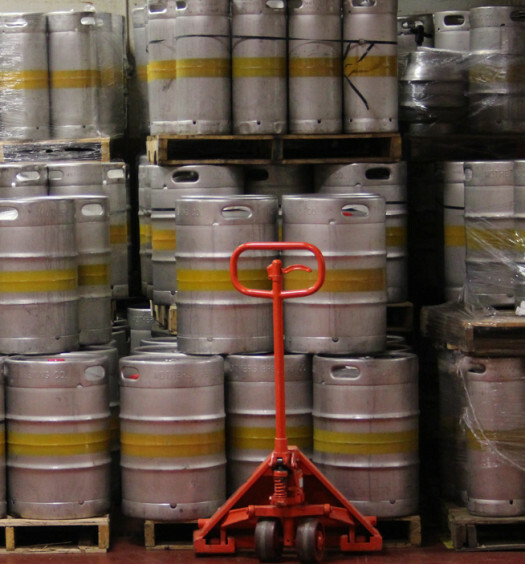 Cans are air tight which extends their shelf life. Advantage: Cans. Environment: Both materials can be recycled. 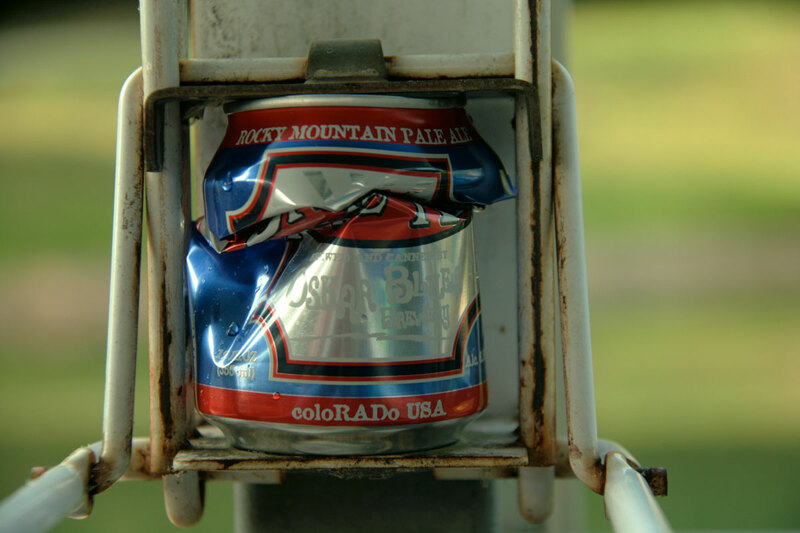 More municipalities accept aluminum in their standard curbside bins, and the average American beer can is made from 54% recycled material. Aluminum can be infinitely recycled, while colored glass has a limited life. Advantage: Cans. Portability: Both bottles and cans are not too difficult to transport. 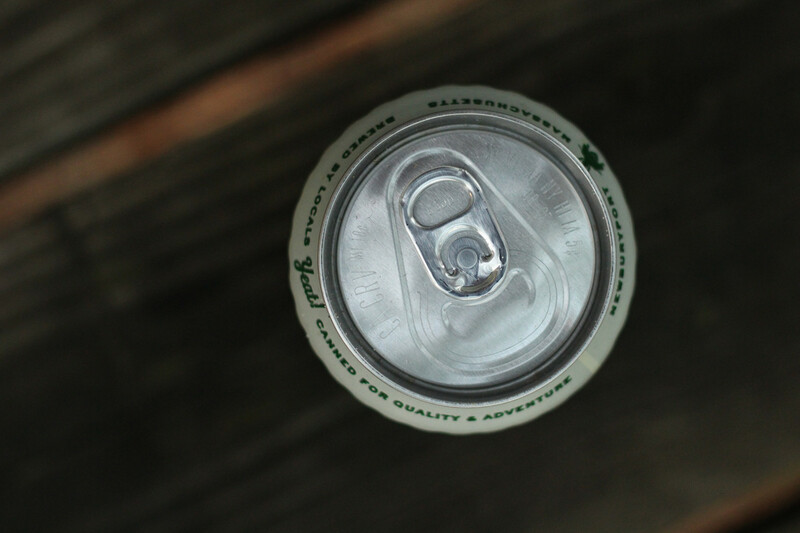 However, cans are lighter than bottles, plus they are more compact. 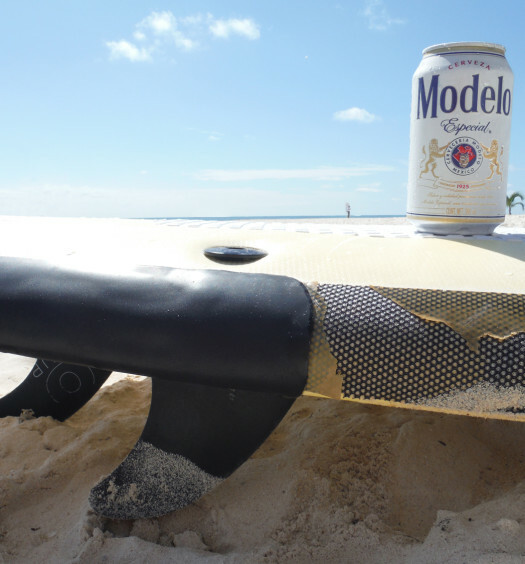 Cans more easily puncture, but glass bottles can break limiting use around pools, patios, and beaches. Advantage: Cans. It is time to get over your prejudice and be an equal opportunity drinker. 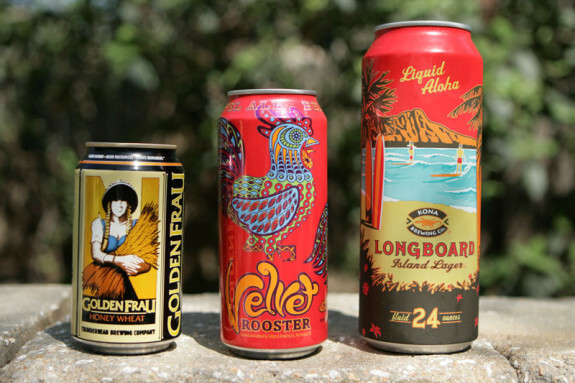 Summer Brew Review highlights several summer beers that are available in cans. 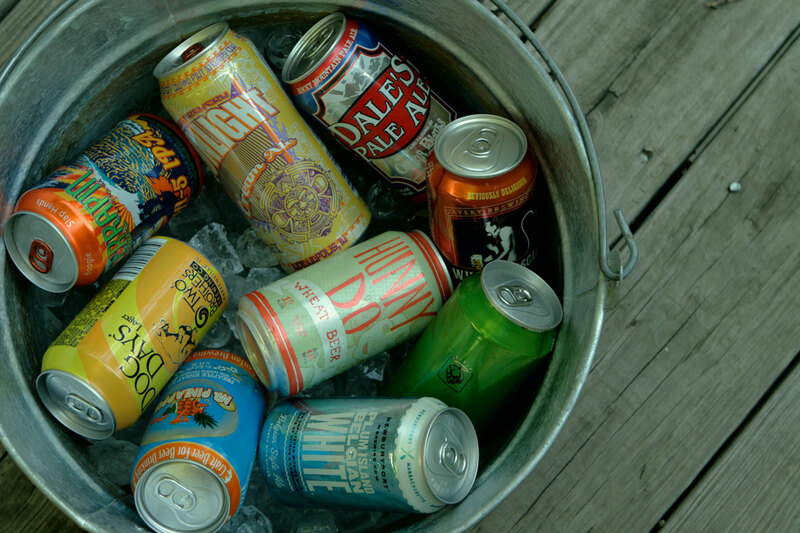 Bonus: Summer beer cans are becoming increasingly available in larger sizes. Above see the standard 12 ounce can by Thunderhead, a 16 ounce can by Tallgrass, and the “Big Kahuna” 24 ounce can by Kona. Footnote: I now admit my wife and I currently have a box of wine in the refrigerator, which is evidence that all snobbery has been dissolved. My apologies to our dinner guests.